A former resident of Bergen County, New Jersey, was arrested this morning for allegedly conspiring and attempting to provide material support to the Islamic State of Iraq and the Levant (ISIL), a designated foreign terrorist organization. The announcement was made by Assistant Attorney General for National Security John P. Carlin, U.S. Attorney Paul J. Fishman of the District of New Jersey and Special Agent in Charge Richard M. Frankel of the FBI’s Newark, New Jersey, Division. Nader Saadeh, 20, a former resident of Rutherford, New Jersey, is charged by complaint with conspiring with other individuals in New Jersey and New York to provide material support to ISIL and with attempting to provide material support to ISIL. 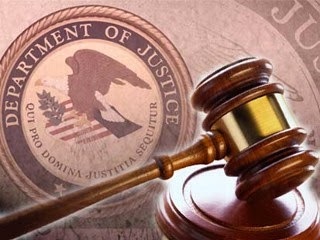 He is scheduled to appear at 1:30 p.m. EDT before U.S. Magistrate Judge Cathy L. Waldor of the District of New Jersey. The FBI and the Joint Terrorism Task Force (JTTF) have been investigating a group of individuals from New York and New Jersey who have allegedly conspired to provide material support to ISIL. Nader Saadeh lived in Rutherford until leaving the country on May 5, 2015, allegedly to join ISIL. Nader Saadeh’s brother, Alaa Saadeh, was a resident of West New York, New Jersey, until he was arrested on June 29, 2015, and charged with conspiring to provide material support to ISIL, aiding and abetting an attempt to provide material support to ISIL and witness tampering. Samuel Rahamin Topaz was a resident of Fort Lee, New Jersey, until he was arrested on June 17, 2015, and charged with conspiring to provide material support to ISIL. Conspirator 1 (CC-1) was a Queens, New York, resident until he was arrested in New York on June 13, 2015, on terrorism charges. Between 2012 and 2013, Nader Saadeh sent CC-1 electronic messages expressing his hatred for the United States and desire to form a small army that would include their friends. On July 1, 2014, the day ISIL’s leader declared an Islamic caliphate in Syria and Iraq, Nader Saadeh posted images of ISIL’s flag and the flag of the Islamic caliphate on his Facebook page. According to an informant who was close to him for years, by April 2015, Nader Saadeh had become a radicalized supporter of ISIL who was preparing to travel overseas with other individuals. In addition, Nader Saadeh said that ISIL’s execution of a captured Jordanian Air Force pilot by burning him alive and the murders of several staff members of the French satirical magazine Charlie Hebdo in Paris earlier this year were justified. During the investigation, the FBI obtained computer files showing that Nader Saadeh viewed ISIL propaganda videos and researched the availability of flights to Turkey, which borders Syria, where ISIL claims to control territory. The FBI also obtained electronic messages sent to Nader Saadeh on April 21, 2015, by family members living overseas, including his mother, who pleaded for him not to join ISIL. On May 5, 2015, Nader Saadeh traveled overseas via John F. Kennedy International Airport, allegedly in order to join ISIL. On his way to the airport, while accompanied by Alaa Saadeh and CC-1, he said that he, Alaa Saadeh, CC-1 and Topaz had plans to reunite overseas within a few weeks. On the day of his arrest, Topaz told the FBI that he agreed with Nader Saadeh, CC-1 and Alaa Saadeh to travel to join ISIL. In addition, Alaa Saadeh told the FBI in a post-arrest interview that he, Nader Saadeh and Topaz all watched ISIL propaganda videos together and discussed going overseas to join ISIL. Alaa Saadeh also stated that the night before Nader Saadeh left for Jordan, CC-1 provided Nader Saadeh with the name and number of an ISIL contact near the Turkey/Syria border who would facilitate his travel to ISIL-controlled territory. Each count in the complaint carries a maximum of potential penalty of 20 years in prison and a fine of $250,000. The case is being investigated by the FBI and JTTF. The case is being prosecuted by Assistant U.S. Attorneys L. Judson Welle, Dennis C. Carletta and Francisco J. Navarro of the District of New Jersey, with the assistance of Trial Attorney Robert Sander of the National Security Division’s Counterterrorism Section.